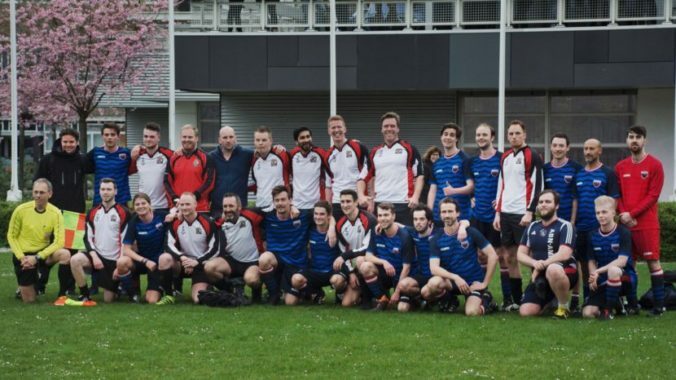 Last month, a team of footballers from many community members of the Marineterrein joined forces in a match against the Marine Etablissement Amsterdam (Ministry of Defense). In the end, it was a close call, we lost. Next month, it’s time for a rematch! So if you enjoy playing football, like to get to know other people that work or study on the Marineterrein and celebrate our victory (fingers crossed) over MEA with a drink or two, sign up for this tradition in the making!